Whenever possible, the Truckload Carriers Association offers recognition and honors to spotlight the achievements of our members. These recognition programs are some of the most respected accolades in the trucking industry today. They represent TCA's commitment to recognizing the very best in trucking. The best company equipment drivers and owner operators are honored every year at TCA's Annual Convention. Winners have exceptional safe driving records, enhance the image of trucking, serve their communities, and protect our environment. Nomination period opens in the Fall. Each year, TCA recognizes the safest fleets in the truckload industry based on their company's overall organization, employee driver/independent contractor selection procedures, training, supervision, accident investigation, inspection, equipment maintenance, outside activities and general highway safety. Particularly important are company efforts to exceed state and federal requirements. Nomination period opens in the Fall. Each year, TCA in partnership with CarriersEdge, recognizes for-hire carriers for providing the best work environments for their drivers. Nominated companies are evaluated on their performance in areas such as driver compensation, pension, and benefits; professional development; driver and community support; and safety record.The winning companies are recognized at TCA’s Annual Convention. Nomination period begins on Labor Day (May) and ends on Halloween (October 31) each year. Since 1973, Truckload Carriers Association has been helping students associated with the truckload industry reach their dreams. Our Scholarship Fund awards up to $6,000 per year to college junior and seniors. Much of our program's support comes from within the truckload family—companies and individuals who are committed to our community's future. Application period opens in the late Spring. TCA's highest honor, the Past Chairmen's Award, is presented annually to a recognized industry leader who has made a significant contribution to the truckload industry through the association and is recognized as a successful business person and association leader. For more information, contact TCA@truckload.org. The TCA Safety Professional of the Year, Clare C. Casey Award, is given to recognize a person whose actions and achievements have had a profound and positive benefit or contribution to better safety on our highways. 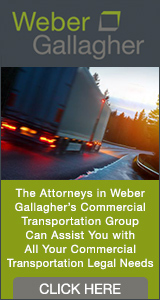 This individual exemplifies leadership and demonstrates the goals of protecting lives and property in the motor transportation industry while serving their company, industry and the motoring public. Nomination period opens in early April.